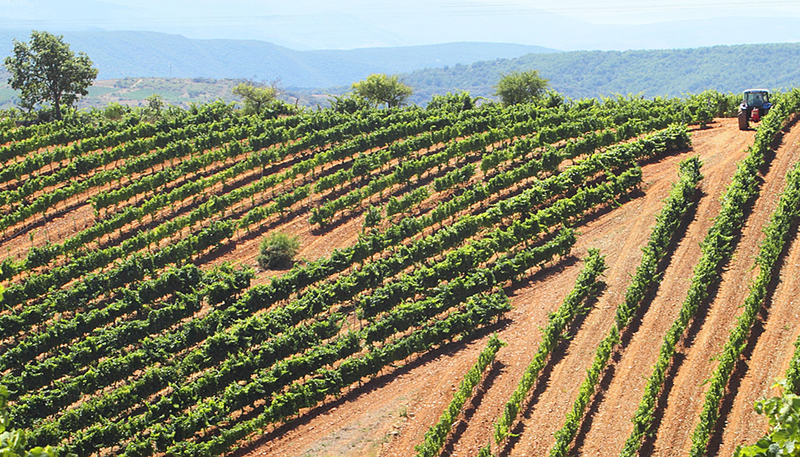 Tucked away in the autonomous province of León, the Bierzo DO region is at the forefront of emerging, Spanish winemaking frontiers; having quickly evolved into a reliable source of some of its most distinctive and qualitative wine. What’s far more longstanding are the Roman-era gold mines, the Templar Castles, and a host of medieval monasteries who are markers for the famed pilgrimage path, Camino de Santiago. 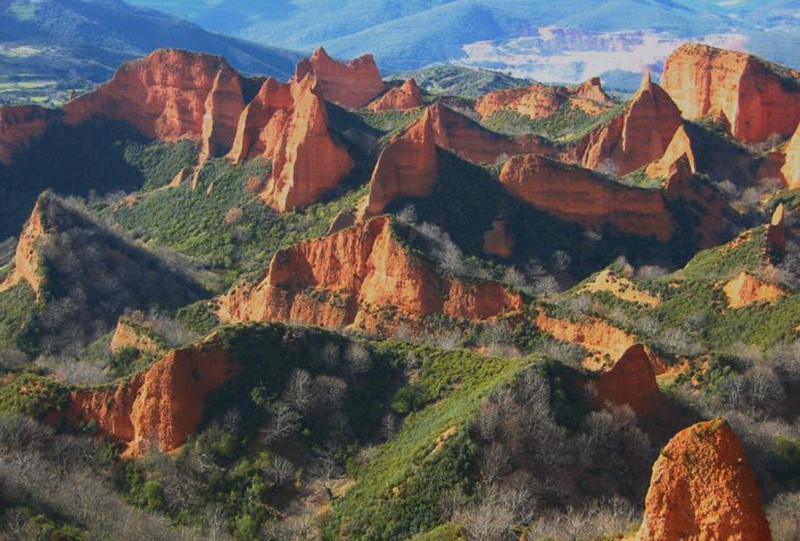 Collectively, the various small valleys of El Bierzo make up the upper basin of the Sil River system that’s framed by the Montes de León and Cordillera Cantábrica mountain ranges. Acting as a Geographic funnel into the verdant northwest corner of the Iberian peninsula, it’s become aptly known as the ‘gateway to Galicia’, which in turn is characterized as the ‘green Spain.’ Though a relatively small and lesser-known Spanish region in the international wine market, Bierzo’s reputation is doubly rising due to its unique, microclimate mix of Atlantic and Mediterranean influences; serving to moderate each other’s extremes; making the conditions equally conducive to cultivating both red and white wine grapes. Capitalizing on this natural blessing, the 55 Bierzo bodegas are impressively outputting 11 million litres of wine annually, and with a current trend of rehabilitating older, under producing plots, their expansion continues. 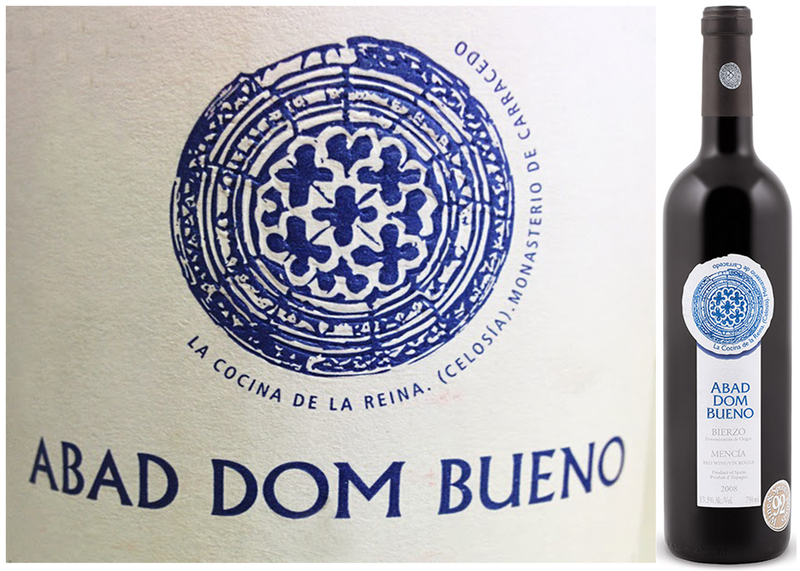 Though taking an inspiration for its name from the adjacent abbey, Monasterio de Santa María de Carracedo that dates to the 10th century, the Bodega del Abad (‘the Abbot’s Cellar’) only became active as an independent producer in 2003. Initially developed under the guidance of a local, legendary wine master, José Luís Santín-Vázquez, the bodega already boasts a loyal following that was struck by a surprising release of a 2001 Crianza-grade cache of their earliest vintage that had been hiding somewhere in the back corners of their cellars. This week’s DéClassé feature of a 2008 bottling is also a surprising re-release that’s being offered for a 3rd consecutive year. Evidently, the current vintner, Miguel Tienda, has exercised discretion in evaluating the character of this particular vintage that’s been settling for eight years now. Unsurprisingly, it’s now decidedly mature, so is soft and rounded, but surprisingly again, it also possesses fruitful vigour, some mineral streaks, and an enlivening acidity. These attributes point to a wine-making accomplishment; due in part to modern production techniques, but also revealing the innate potential of Mencia. Indigenous to Bierzo, and with a significant increase in plantings, the variety has joined the list of the four most important Spanish red wine grapes: Tempranillo, Garnacha, and Monastrell. Producing compact grape clusters of medium-sized, violet-blue berries, its renaissance of popularity is bolstered by an ability to yield age-worthy wine at relatively modest price points. 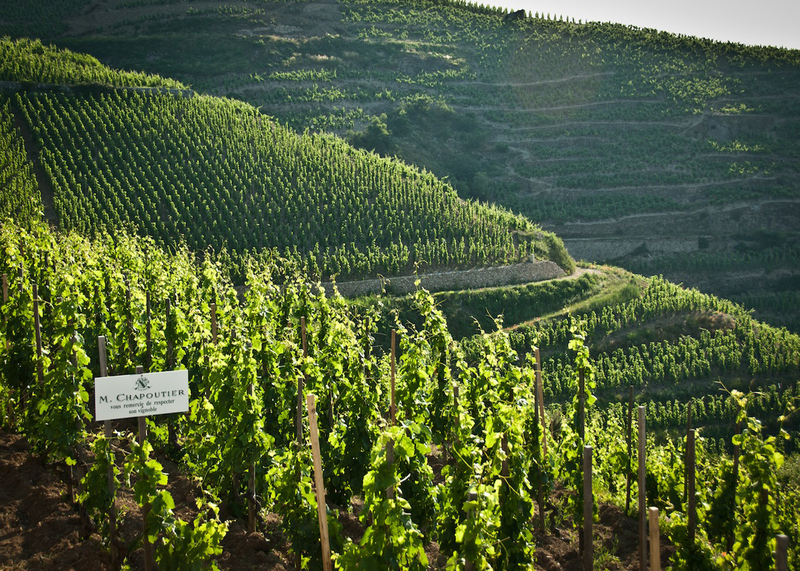 35 hectares of this bodega’s vineyards are located up on steep terrain made up of slate and quartzite laden soils where the mix of old vines, with some approaching 70 years-of-age, are still yielding characterful fruit. When meticulously handpicked and sorted, as they are at Del Abad, the harvests are creating characterful, velvety wines. This bottling is ready to go now, and as the vintner has done the expert work of ageing it under ideal storage conditions, it just might hold for several more years in your cellar. It will likely fly off the shelves quickly as word of this resurgent gem spreads, so if you’re not an optimist when it comes to storing wine, then just buy enough to get you through the summer and deep into Fall (maybe winter too)! 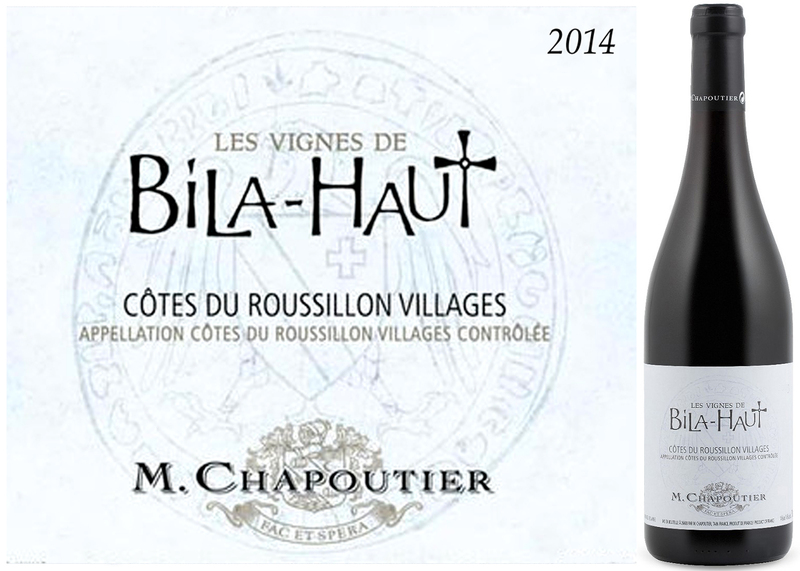 Though gracefully aged, this still offers juicy red cherry and currant flavours with a vanilla accent. A refreshing acidity enhances the core of soft tannins, so could stand to be slightly chilled before decanting. Try serving with rich poultry dishes, a roasted leg of herbed lamb, marinated steak or with spicy beef empanadas. The Loire River Valley in west-central France has a long history of being a geographical and political demarcation line. In the 1st century, Imperial Rome used it to sub-divide their occupation of Gaul into two large areas: Aquitania to the south, and Celtica to the north. With the demise of the empire, Val de Loire continued to act as a borderland, separating the southern territories controlled by the ‘barbarian’ Visigoths, and the Gallo-Romans who renamed their northern realm as Syagrius. During the Middle Ages, and perhaps most famously, English Plantagenet King, Henry 2nd ruled the north while his erstwhile wife, Eleanor, held sway in Aquitaine. Spanning these diverse historical periods is a steady, unifying development of viniculture; eventually taking pride-of-place in the landscape and providing the modern-day Loire with an appropriate moniker, ‘garden of France.’ Winemaking legend suggests that a 4th-century monk, Saint-Martin, was first to introduce suitable vines for the terroir, and to promote an early form of pruning practice by having his donkey graze in the monastery vineyard; to strip the vines of their lower leaves and buds. It’s a critical cultivation step, where the limiting of harvest yields results in far more concentrated grapes and flavour. 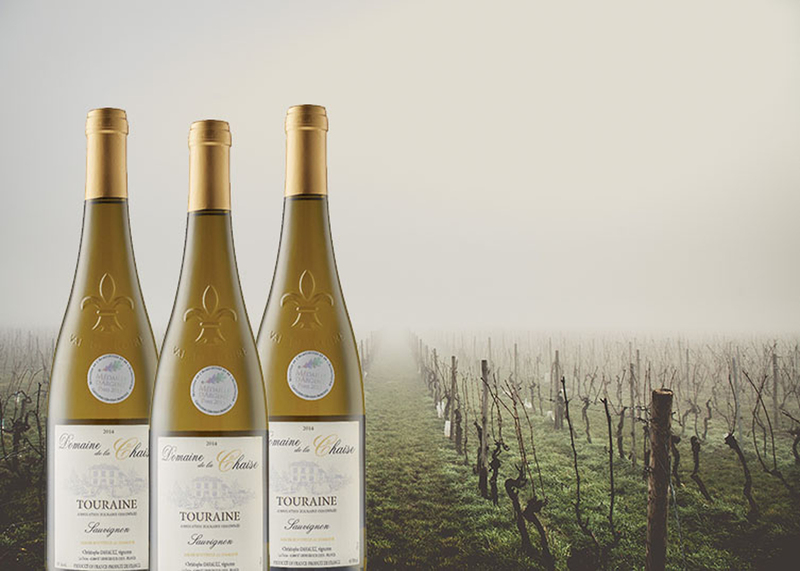 Nonetheless, the Loire’s vintners still manage to produce about 400 million bottles annually, with varietal Sauvignon Blanc output accounting for a large share of the total. Centered on the city of Tours, the sub-region of Touraine is located where the valley’s namesake river meets two of its numerous tributaries; Cher and Indre. In turn, these fertile river junctions, the Indre-et-Loire and Loire-et-Cher, encompass 146 communes and an expansive list of winemaking châteaux that qualify for Touraine AOP designation. 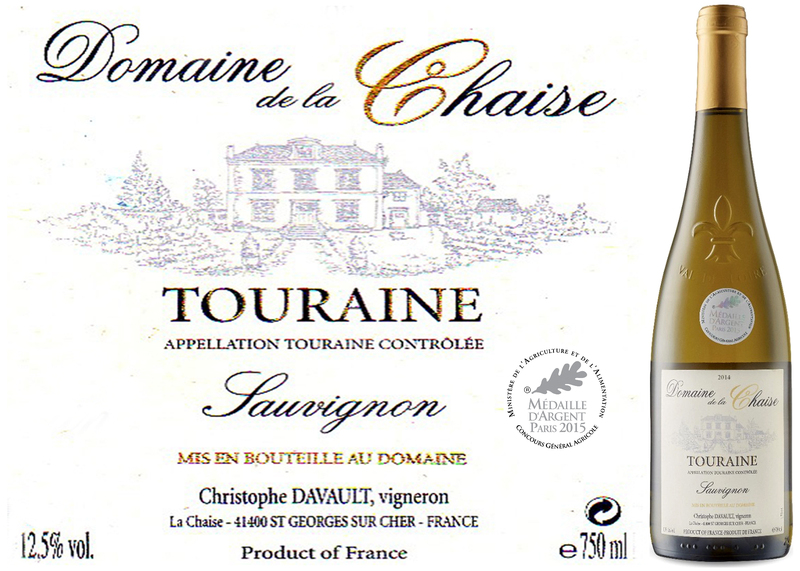 Among them is this DéClassé featured, Domaine de la Chaise and their Touraine Sauvignon 2014. Drawing fruit from vineyards that lie near the postcard-famed, white Château de Chenonceau, pedigree, and high standards are not in short supply!